Every Friday through December 18, we will be sharing RVC facts and photos from over the years right here on our blog and on social media. Be sure to check here every Friday and follow us on all of our social media platforms as we will be posting unique content across all media. We encourage you to use #RVC50 to share your memories and photos with us on social media as well. Today’s 50th Friday covers the year 2014. The college’s new Golden Eagle mascot was named after a “Name the Mascot” contest that took place in January of 2014. The name Arvee was chosen from over 350 entries that were received. Ten finalists were invited to a special ceremony where the winning name was revealed at halftime of the RVC men’s basketball game on February 5, 2014. 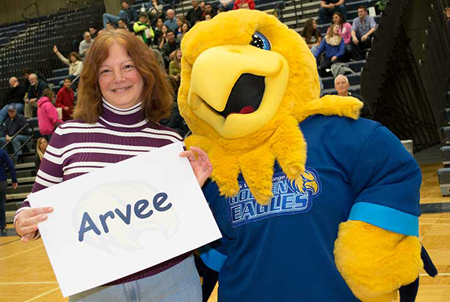 The winning name of Arvee was submitted by Cristina Szterensus, who in addition to receiving a great prize package also has bragging rights for life for naming Arvee for Rock Valley College! You can follow Arvee on Facebook and Twitter and you can even join Arvee’s Army, the official rooting section of RVC Athletics. Cristina Szterensus posed with Arvee after the revealing of the “Name the Mascot” contest winner on February 5, 2014. 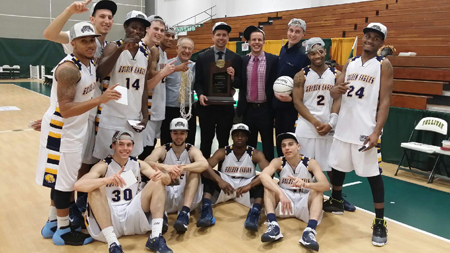 On Saturday, March 15, 2014, head coach Craig Doty and his team won the college’s first ever national championship for men’s basketball after defeating Caldwell Community College, 79-69, in Loch Sheldrake, New York. Freshman LT Davis was named the tournament’s Most Valuable Player after scoring 21 points in the championship game and averaging 18 points per game in the tournament. Freshman Jared Mayes was also named to the NJCAA all-tournament team after scoring 22 points per game and 55 points combined in the semifinals and finals. Mayes was later named NJCAA Division III Player of the Year. Coach Doty was named Don Klaas Region IV coach of the year, District 2 Coach of the Year, and Gary S. Cole Coach of the NJCAA Tournament. 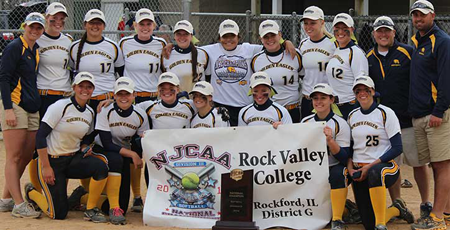 Not to be outdone, head coach Darin Monroe and his softball team captured the program’s first ever national championship on May 17, 2014, after a 2-1 win over Herkimer County Community College. The Golden Eagles scored all of the runs they would need in the bottom of the first inning as sophomore Amanda Blankenship was dominant on the mound for RVC. She allowed one earned run on four hits with just one walk and nine strikeouts in seven innings pitched in the title game. For the tournament, Blankenship finished 4-0 with a 0.30 ERA with just three walks and 34 strikeouts in 23 1/3 innings pitched to claim tournament MVP and Pitcher of the Tournament honors. The Golden Eagles finished a remarkable season with a national championship and a then program single-season record 42 wins. Monroe was named Region IV Coach of the Year, N4C Coach of the Year, and NJCAA Coach of the Tournament. 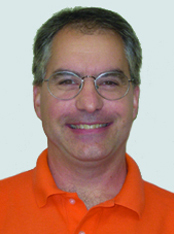 Dr. Paul McCombs was honored by the Illinois Section of the Mathematics Association of America (ISMAA) as the recipient of the 2014 Award for Distinguished College or University Teaching of Mathematics at their annual conference on March 28, 2014. The award honors college or university teachers who have been widely recognized as extraordinarily successful and whose teaching effectiveness has been shown to have had influence beyond their own institutions. Dr. McCombs was only the third professor from a community college to ever win the award and the first since 2002. Dr. McCombs was also recognized as Rock Valley College’s Faculty of the Year in January of 2014. Meanwhile, Professor Rodger Hergert was honored by the Illinois Mathematical Association of Community Colleges (IMACC) as the recipient of the Distinguished Service Award at their annual conference on April 4, 2014. The award honors one member each year for a career of outstanding service to IMACC. The requirements for the award take into account years of service with the organization as well as time served as an elected officer with IMACC, and involvement on IMACC committees and conferences. 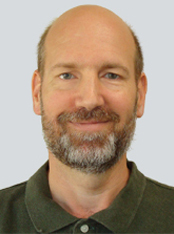 Professor Hergert not only served as President of IMACC but was also the ConneXion (IMACC newsletter) editor, and has been continuously involved with IMACC committees. 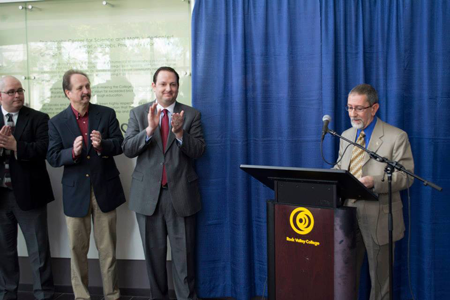 On April 8, 2014, a press conference was held to announce the appointment of Michael Mastroianni as Rock Valley College’s sixth president. 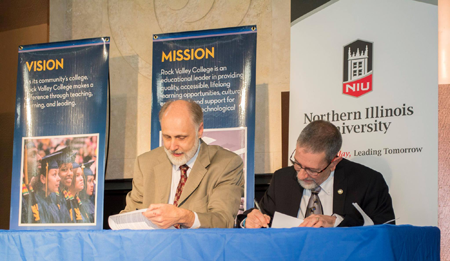 Northern Illinois University President Doug Baker and Rock Valley College President Mike Mastroianni signed an innovative reverse transfer agreement on May 28, 2014. The agreement allows eligible NIU students who transferred from RVC without associate degrees to earn the two-year degree using credit from NIU courses. This reverse transfer option is beneficial for students who have transferred from RVC to NIU before earning their associate’s degree. Credits completed at NIU are transferred back to RVC and used to satisfy the degree requirements for an associate’s degree, similar to how credit is transferred from a community college to NIU, just in reverse. “In a time when we desperately need more advanced education in our community, this agreement makes that goal easier to attain,” Mastroianni said. Northern Illinois University President Doug Baker and Rock Valley College President Mike Mastroianni signed the reverse transfer agreement on May 28, 2014. Four awards at the Prairie State International Film Festival, including Best Director (Tom Doherty), Best Actress (Laura Chernicky), Best Cinematography (Jayson Phommavongsa), and Best Prairie State Film. 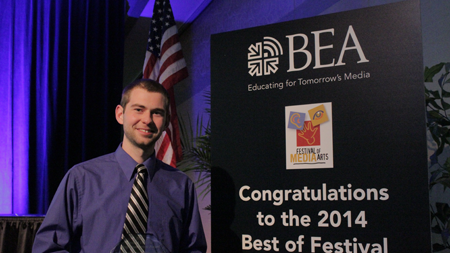 Tom Doherty at the Broadcast Education Association (BEA) Festival of Media Arts in 2014. 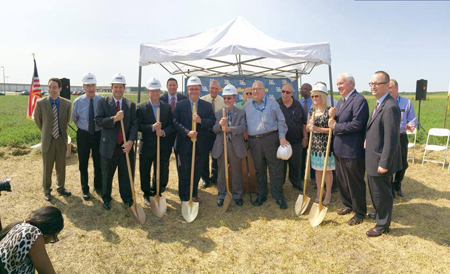 The college broke ground on its new Aviation Maintenance facility at the Chicago Rockford International Airport on July 18, 2014. The 40,000 square foot facility has four classrooms, four labs, and an aircraft hangar, allowing the college to triple its enrollment in the program. By comparison, the previous facility had 15,000 square feet with one classroom, one lab, and a small hangar area. The new facility officially opened for classes in August of 2015. Mike Webb was recognized on July 23, 2014, prior to a performance of Honk!, for his 30 years at Starlight Theatre. Mike was presented a plaque from President Mike Mastroianni which thanked him for “30 years of making miracles happen on the Starlight stage.” Alderman Frank Beach was also on hand to present a resolution from the city of Rockford stating that Mayor Morrissey had declared July 23, 2014, as “Mike Webb Day” in Rockford. On September 23, 2014, Michael Monaghan from ICCTA (Illinois Community College Trustees Association) was on hand at the RVC Board of Trustees meeting to present Trustee Randy Schaefer with the “25 Year Trustee Award” to honor Schaefer’s 25 years of service as a Rock Valley College Board of Trustees member. The award is presented to a trustee whenever he/she achieves this elite level of service. Trustee Schaefer is an RVC alumnus who began serving on the RVC Board starting in December of 1989. In the 50 year history of ICCTA, more than 2,200 elected trustees have served in Illinois, but only 28 (1%) have ever reached 25 years of service and have subsequently received this special award. 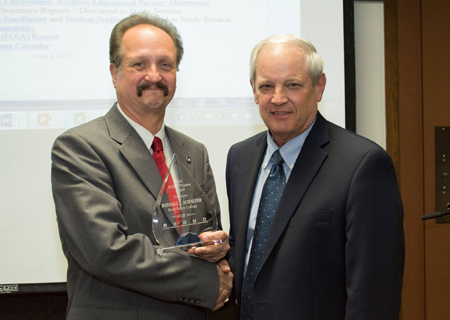 Michael Monaghan (right) presented Trustee Randy Schaefer (left) with the “25 Year Trustee Award” on September 23, 2014. 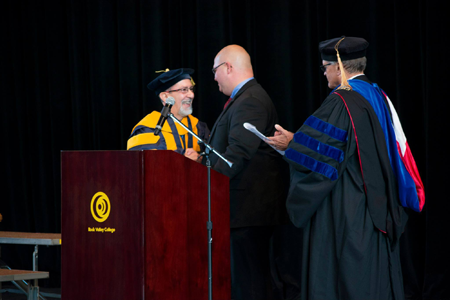 Rock Valley College and the campus community celebrated the Investiture of Mike Mastroianni as the sixth president of Rock Valley College on Tuesday, September 30, 2014. The ceremony featured a keynote address by Dr. Thomas L. Choice, President of Kishwaukee College, and an address from President Mastroianni. Rock Valley College’s Model United Nations (Model UN) team has enjoyed astounding success for over a decade now, representing the college proudly at national and international conferences since 2003. 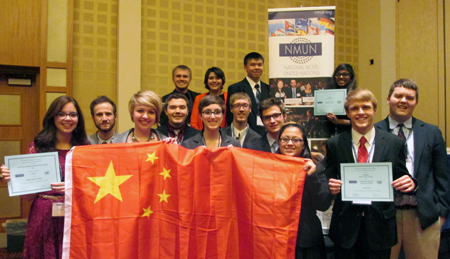 The team attended the National Model United Nations (NMUN) Conference in Washington, D.C., October 31-November 2, 2014, where they were chosen as an Outstanding Delegation for the fifth year in a row. The RVC team was one of just 11 schools recognized as an Outstanding Delegation. Won five Outstanding Delegation, four Outstanding Delegation Position Papers, and eight Outstanding Delegates in a Committee Awards over the last five years at the National Model United Nations (NMUN) Conference in Washington, D.C.
Additionally, the team hosted the first Rock Valley College Model United Nations Conference for high school students in April 2015 and is working on planning the March 2016 conference now. The RVC team will also be attending the National Model United Nations (NMUN) Conference in New York in March of 2016. 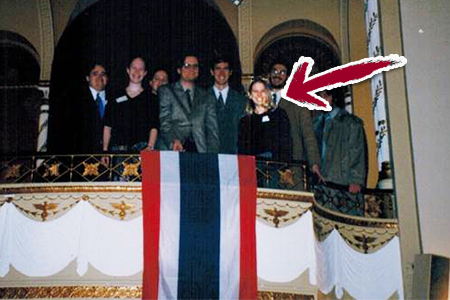 The first RVC MUN Team at the Harvard National Model United Nations in 2003. Do you recognize the delegate in the front to the right of the flag? That’s Crystal Dinwiddie! She was a delegate for RVC MUN as a student in 2003 and now she serves as one of the team advisors and is an Assistant Professor of Sociology!